The last few years (or months) are under the banner of „backfromthedead“ bands. I bet you will in an instant be able to name so many bands all the fingers on your hand will not be sufficient. 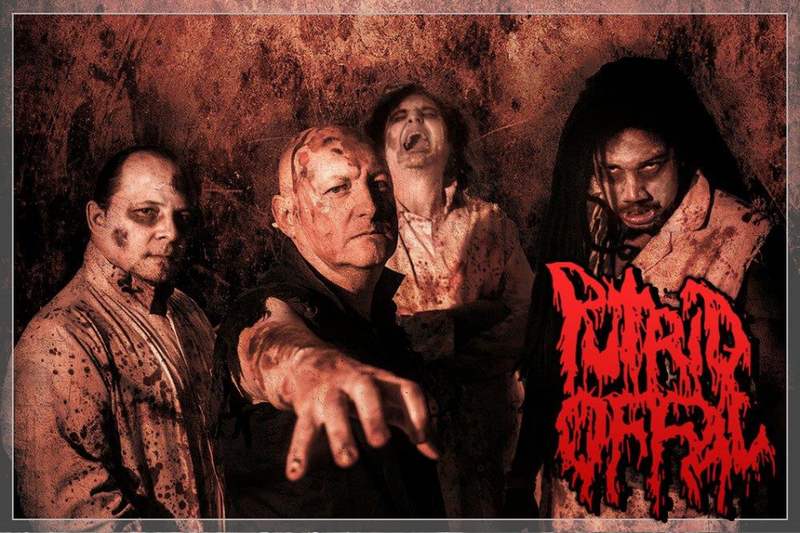 One of the bands that was there when grindcore scene started (especially in France) are PUTRID OFFAL. The history in a nutshell: demo in 1991, split LP and EP and the end in the middle of the 90`s. A new beginning around 2013, a new single, a compilation and this year two decades since their start a debut album finally! Uncompromising, brutal goregrind performed by the veterans of the scene. At OEF 2015!!! Putrid Offal was an early Death Metal / Grindcore band from Northern France that existed from 1990 to 1995. The band had many similarities in style with Supuration, sometimes even quite “borrowing” Supuration songs and giving them a new grinding approach such as on the one featured here that will remind Supuration fans the “Sultry obsession” MCD a lot. The band started to slowly evolve into a cold industrial Death Metal outfit on their latest demo, before changing name to M.Pheral (early material of the new band can be found on Putrid Offal’s last demo).